Bebe Zahara Benet, Thorgy Thor, Jujubee and Alexis Michelle are coming to the aid of one lucky bride. As the queens of RuPaul’s Drag Race All Stars 3 said, it’s time to drag up, drag up your life! In lieu of something old, something new, something borrowed and something blue, TLC is gifting a blushing bride with four drag queens to help her plan her big day. The new special, Drag Me Down the Aisle, will feature Drag Race alum BeBe Zahara Benet, Thorgy Thor, Jujubee and Alexis Michelle as they help Emily, an Amish Country bride, gain the self-confidence and flair she needs to say “I do!,” Us Weekly reports. The queens have three weeks to help Emily find her dress, pick venue, and turn out her special day. Each of the queens brings a different expertise to the table: Season nine’s Alexis Michelle has “glammed up” hundreds of brides. Drag Race’s first winner winner BeBe is a professional event planner. Season eight and All Stars 3 contestant Thorgy is a master musician who has coordinated wedding music, and Jujubee will bring her experience as a professional makeup artist. 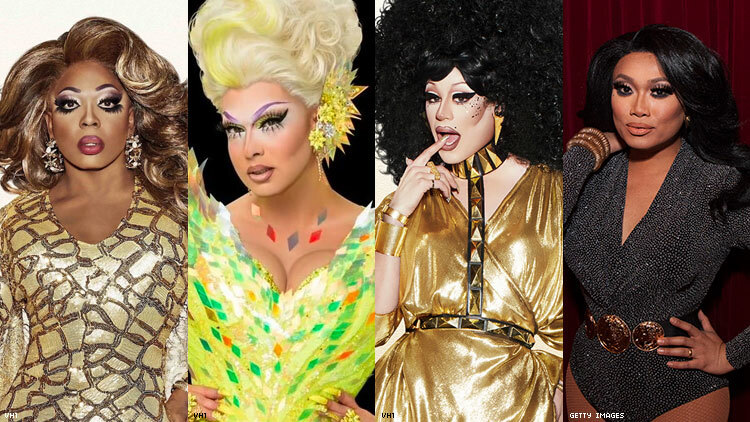 With this show, the four queens join many other queens who have found television gigs outside the Drag Race universe. Trixie Mattel and Katya landed The Trixie & Katya Show on Viceland. Bob the Drag Queen replaced Katya when she announced she was taking a break from drag. Courtney Act hosted the UK’s first ever bisexual-inclusive dating show. Alyssa Edwards landed her own reality show, Dancing Queen, on Netflix, and Laganja Estranja lasted several rounds on NBC’s So You Think You Can Dance. Drag Me Down the Aisle premieres on TLC on Saturday, March 9 at 9 p.m. EST.